I’m proud to announce the 0.3 version of DeHL library. This release focused on bug-fixes and extensions to type support engine. This version should pretty much stabilize what I started and should leave me more time to extend other interesting parts of the library such as collections. For those who are new, DeHL is a project of mine designed to fill in some holes in the Delphi’s RTL — most notably, some centralized and OOP-ish Date/Time support, more generic collection classes and “big integer” math support. DeHL also builds up a new layer of “type support” which is very useful to abstract all type management tasks in generic classes. This projects only supports Delphi 2009 (and above) since Generics, Anonymous methods, and Unicode are widely used whithin the library. So even if you are not interested in the library itself, it may prove a good read if you are interested in all new features Delphi 2009 has to offer. Type support classes now expose methods to convert a type from an to a Variant. Based on the newly added Variant conversion, a new type: TConverter<T1, T2> is present. You can use it to support “blind” conversion in a class. Now more functionality is split between generic and non-generic variants of the type support classes (IType, IType<T>, TType, TType<T>). TypeSupport has been renamed to TType and IType repectively. IType/TType now export Name, Size, Management, TypeInfo and Family properties. You can use those properties to get more information about your generic type. Custom type registration has been improved. A new cleaner API can be used to register you custom types into the DeHL’s type system. TType<T>.Default is now an overloaded function. The first form is the usual one. The second form receives a set of “type families” that are expected to represent the generic type. This way you can effectively impose run-time type restrictions. TClassType is now generic with T being class-restricted. This allows to avoid compile-time type incompatibilities. Fixed a bug in BigCardinal and BigInteger variant types related to string conversion. A few changes in TDictionary to avoid compiler problems. In a multi-threaded environment, the custom type support would not unlock properly leading to a dead-lock. Cleanup routines for TDictionary and THashSet were flawed since those used FillChar to clear the array. Managed types had problems with that. Char type support class now acts properly. Note: It may be possible that the Testing project will not compile due to a bug in the Delphi compiler. But that should not prevent the usage of the library itself. Good work! Your library it’s innovative and really usefull. Thanks for kind words, were you been able to use it in Tiburon Update 2? – I tried to build it with HPP generation enabled, but BCC doesn’t swallow many things in the headers, mainly because of QC’s #71288, #73543, #73545 and #73546. 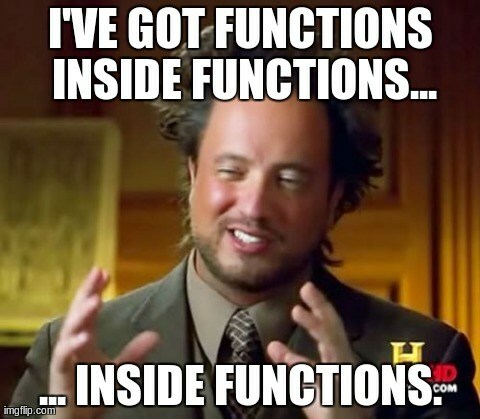 – Why did you disable function inlining? 2. I disabled inlining because of some bugs in the compiler. Don’t know if those are fixed yet. 3. No, I did not propose it as a stress test, but I have thought about it several times, each time I hit a new bug. I usually fill in a bug report and that’s all. > 1. I don’t see any reason for HPP generation. I do. Not all of your classes are generic, and even those should be possible to access from C++, e.g. if you’re dealing with a Delphi unit that uses them in the interface section. FWIW, three of the four reports I mentioned above are not related to generics. Ah, I see. I will see what can be done about that at a later date.